The transition from analog to digital took nearly a quarter of a century and an act of Congress; the nonlinear revolution consumed another decade. By contrast, the transformation to an IP workflow is arriving like a bullet train, without legislation, sanction, or specification. In this article we will examine what is driving this headlong rush, and how it will lead to much more elemental transformations. We will make the case that high-performance IP workflows offers meaningful advantages in productivity and can often be achieved without extravagant expenditures or disruptions. 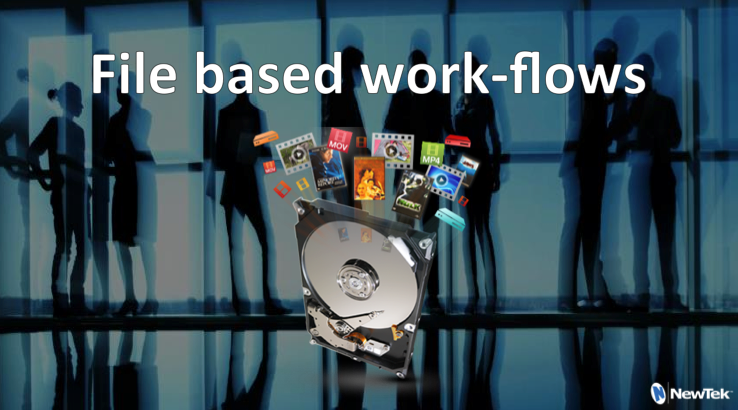 We will also ask whether, in the rush to adapt and replace SDI workflows, we have fully grasped IP’s potential. This paper highlights IP’s promise of affordability, simplicity, and scalability, and points to its potential to transcend the creative limits of linear, point-to-point workflows. 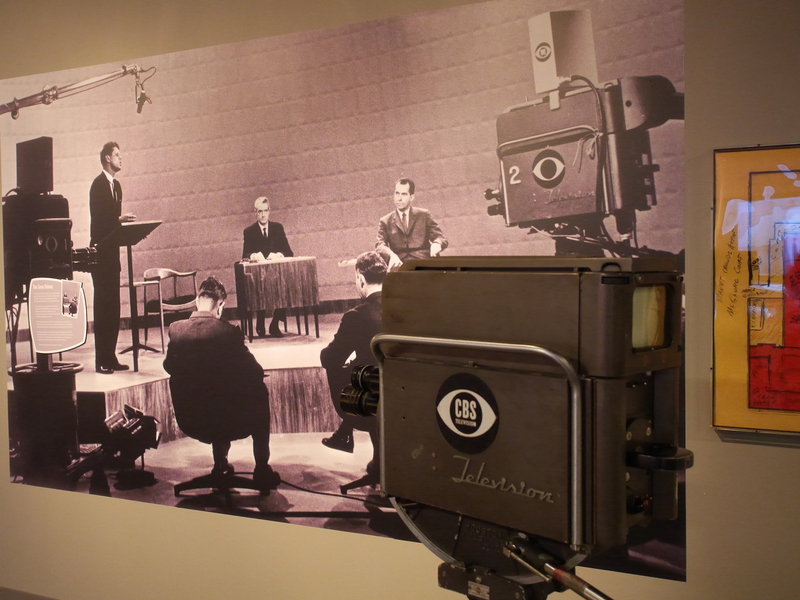 Within that same period, black and white standard definition television was superseded by vibrant full-color High (and Ultra High) definition broadcasts. Imaging devices with capabilities that once required cameras that cost as much as a small house are now included as accessory features in devices that we all carry in our pockets. The second seemingly immutable constant flowed from the first: the transmission of audio and video data has been overwhelmingly unidirectional. Imagery originating at cameras or other devices travels downstream, individual tributaries passing through shading systems, onward to the confluence at a video mixer, then ultimately flowing to capture, distribution systems, and audiences. 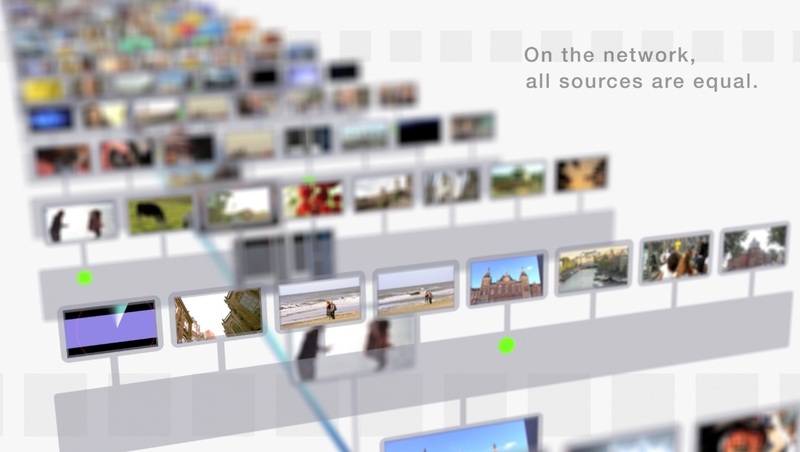 This one-way dataflow has a number of ramifications that have gone unchallenged until now, and in consequence has affected the design of virtually every video device on the market, as well as the pipeline and workflow of every broadcast production environment. Video over IP is going to demolish these orthodox conventions, and will provide amazing opportunities in the process. 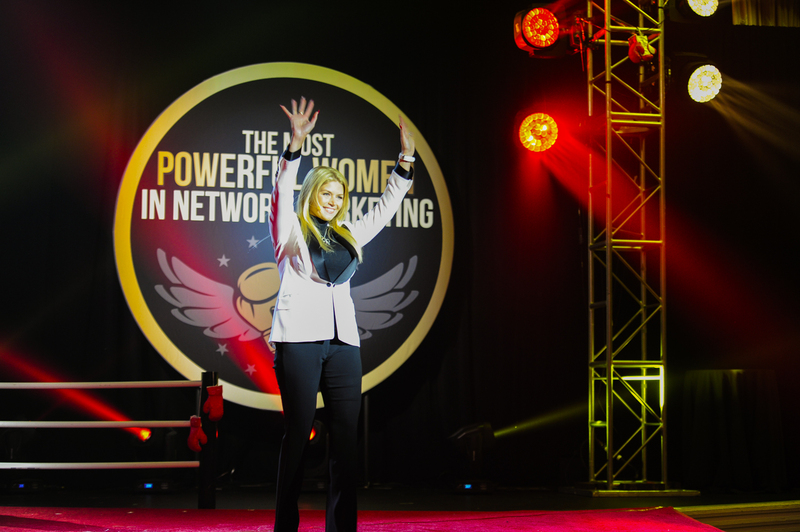 This represents one of the most fundamental and far-reaching transitions that our industry has ever seen. It will change the landscape completely, and will have far more profound impact at all levels of production than mundane factors such as resolutions, frame-rate, and similar details that have often preoccupied us previously. To reveal the true implications of this transformation, we will use the time-honored investigative method of examining means, motive, and opportunity. We have all become inured to seemingly endless and amazing advances in general computing. Computational power and data storage that would once have taken an entire building to house, now fits into a shirt pocket with room to spare. Power consumption requirements have been reduced such that a mobile device can run on battery power for as long as most people reasonably need. Such devices typically have one or more high definition cameras (even 4K), substantial memory and drive storage, serious computing capabilities, and very high-resolution displays. These technological advances are remarkable. Yet it is widely accepted that the near totality of interconnections of these devices to one another, even including widely diverse device types, represents a much more transformative change than that provided by gains in their individual capabilities. To illustrate, suppose the Internet was actually just an improved telephone, perhaps combining text and video with voice. Would it have changed the world? Unlikely. Instead, though, the Internet connects everyone and everything together at the same time, rather than merely one to another. In consequence, it completely redefined our work, our play, and even our relationships. This unprecedented interconnectivity had repercussions of all sorts, providing not only vast benefits in the speed and efficiency of data transfer but also innumerable workflow, creative and commercially important opportunities. Conveniently for those of us in the video industry, these technological advances are increasingly affordable. Cost reductions driven by the insatiable demands of billions of technology consumers have necessarily kept pace with order of magnitude performance increases. Global economics have driven ready capital investment in the development and manufacture of such devices on a scale that makes it available to virtually everyone. Consider a few examples: Significant video camera enhancements and price drops in recent years flow from technologies developed for manufacturing cell phone CCDs that have been leveraged for professional video camera applications. Just a few years ago we’d have been completely incapable of processing and transmitting high definition video; the timely arrival of low-cost, modern CPUs and GPUs providing ultra-fast processing and advanced compression saved the day. Accelerator, GPS and sensor implementations have also been drastically reduced in size, cost and power consumption, with benefits accruing both in media production and consumption. The absorption of massively consumer-driven advances by our industry should neither surprise nor offend us. Brilliant innovation in any field inevitably exerts a halo effect on nearby realms. We should accept, even celebrate this fact. Clinging to a vision in which the broadcast video industry is analogous to Formula One, where no expense is spared in pursuit of tiny incremental advances that may or may not one day trickle down to the soccer mom’s SUV, ignores very real economic facts. R&D is very expensive, and the big money naturally gravitates inexorably toward ROI (there’s a reason more people nowadays associate Apple with the iPhone than the Macintosh). Even if no other forces were at work at all, this fact alone undeniably means that many technologies that we employ will be massively and beneficially impacted by consumer economics. By comparison, systems that are rigidly industry-specific will inevitably suffer. Despite the foregoing, it would not be immodest to claim that video distribution and consumption has been a major impetus for many of these advancements. Naturally, then, it has also often been their direct beneficiary. IP and global connectivity have already played key roles in this respect but show no sign of stopping there. A brief examination of virtually any field of human activity reveals that modern IT technologies are not just augmenting domain-specific methods, but actually replacing them. IP is causing tectonic movement, and we in the broadcast industry inevitably feel the aftershocks too. It is easy to conclude that the recent explosion of interest in IP-based solutions is driven entirely by the economics of video transport. Moving high bit-rate live video over very long distances by IP can be much faster and more affordable than alternatives. A further stimulus for IP adoption, however, is the fact that end-point creation, storage and processing of video using general computing technologies has matured to the degree that they provide truly useful functionality, often doing so better and more economically than traditional dedicated domain-specific devices - again, all courtesy of the same consumer driven forces. IP is in the DNA of this new generation of video devices, and this too presents a powerful argument for us to embrace it as a solution to connectivity problems. Much concern has been expressed about the importance of interoperability of standards in this context. Certainly it’s easy to find examples where incompatible standards have impeded progress in the past. Interestingly though, a great many of the comparisons frequently drawn (e.g., incompatible tape formats, and the like) simply do not apply in digital data and software processing realm associated with IP. 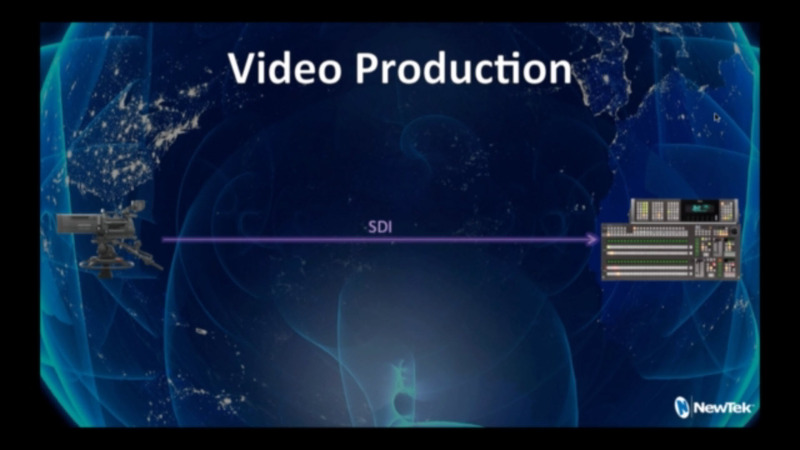 For example, it’s common to use a physical device to transform live video from SDI to HDMI. Such devices take space, create heat, cost money, and consume power (not to mention posing added risk of signal loss). In digital space, however, software transformations can potentially handle the majority of such exchanges between formats and protocols. True, such adaptations are not always lossless (as, for example, when recompression is required), but that has often true in the past too. Thus, with conscience intact, we can say that many of the problems we have previously faced as respects interchange are actually more easily resolved in IP space. The conclusion is that, unlike almost any comparisons we might wish to draw upon from our broadcast history, the basic infrastructure in the IP world is blithely neutral to these sorts of differences. This fact is extremely fortuitous, since IP thus allows us to work in the protocols and formats that suit our current pipeline needs, yet remains completely open to those needs changing and those standards being extended, merged or otherwise adapted in the future. Arguably, it is actually IP’s data type agnosticism that gives rise to the numerous and diverse approaches being proposed today. Unlike SDI or any other traditional means of transmission, all of these (and more we haven’t even imagined) can coexist peacefully on the same cabling, at the same time. To your network, this round of the format wars is already over; competing formats and protocols are just more ones and zeros, and - it’s vital to appreciate - they are all equally welcome. Narrower requirements may pop up here and there in a pipeline, but it seems clear that a proposed IP solution that is unfriendly to standard network connections risks being sidelined, as self-imposed obstacles limit it to ‘talking to itself’, excluded from the wider exchange. Accepting the foregoing is a de facto admission that a functional, mature, and ubiquitous industry standard for interconnection and signal transmission already exists in the form of TCP/IP. 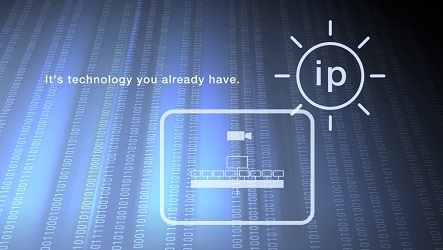 By its very nature, IP technology efficiently handles any and all of the data types we are interested in. Enormous prior development has gone into ensuring that it does this very, very well. No counterargument raised by any who may have vested interests will succeed in preventing it from doing just that. Striving for compatibility is clearly a worthwhile pursuit, but it should never be used as a roadblock to either adoption or innovation. Vigorous experimentation and innovation stimulates and accelerates our industry. Free-spirited technological development of the same sort enabled the thriving Internet we all use today and is going to transform the broadcast video industry too. We cannot finish discussing the means that enable immediate, affordable IP implementation without remarking on the ubiquity of IP infrastructure and support mechanisms. Almost every office building, every home, even your car, likely already has IP infrastructure. Still better, millions of engineers are already trained in its more arcane details. Inexpensive and reliable switching and routing devices, sophisticated diagnostic tools, extensive and inexpensive learning resources are readily available. IP is a mature, existing technology, a known commodity we probably already own and use every minute of the day. Unlike your first child, it doesn’t demand that you replace everything you own, forget everything you know, and start all over. Unlike any prior technological shift in our space, then, this one is unique. You can achieve immediate rewards for taking advantage of what you already own by applying it in new ways, rather than being required to fund new capital investment (this has to be a first – ask your accountant). 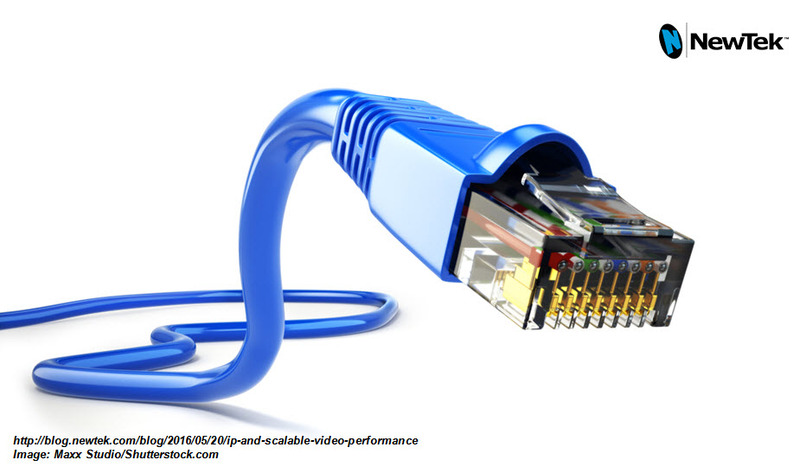 Within the video industry, it would be almost impossible to overlook the growing trend towards replacing existing cabling systems with non-proprietary, network-based, interconnections (IP). Essentially, most conversations in this context tend to boil down to simply replacing one cable type with another, or communicating from one to the other. Indeed for many, moving to IP-based approaches represents a step backward in some ways: The routing and distribution of uncompressed HD-SDI signals at 3GBit/s (and soon, 12GBit/s) are remarkably cost effective and reliable. Some argue quite convincingly that SDI is certainly better in these respects than the current generation of network-based connections proposed as their replacements. 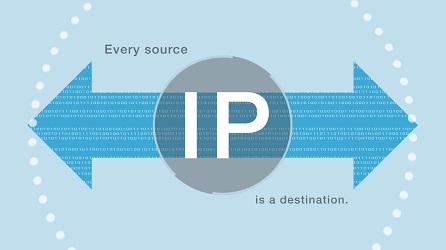 With this said, IP embodies certain physical aspects of obvious value, offsetting some of its negative aspects. The most obvious short-term advantage is the increased ability to distribute video geographically in ways that are just not possible with traditional means. An SDI cable can’t be stretched successfully from one side of the country to the other, yet IP-based infrastructure can do this for us today. Some might contend that satellites fill this need, but consider the fact that IP does not distinguish between sending video to the computer in the next office, the next building, city or state, or all of the above at once. While certain network parameters change, the underlying architecture required to deliver content to numerous destinations in this way is identical (ok, your IT guy might need to help a bit.) This level of geographic scalability within a single design is extremely difficult to achieve and manage in any other way. Put in other terms, would you rather click the mouse a few times to configure new connections across the continent, or launch, reposition, or rent a satellite? If an IP implementation did no more than what we’ve discussed to this point - providing simple, unidirectional connections between SDI devices over longer distances, perhaps reducing expenditures, and cutting down the number of trip hazards talent and crew must negotiate while balancing their lattés - it would still be possible to justify the effort. Thankfully, compared to other benefits we will consider, these rationales are almost negligible. The transformation already underway encompasses numerous changes more profound than the cable types that we choose. Consider that for several decades now the video signals we work with have largely been digital. Every modern camera, monitor, and processing system is entirely digital. Naturally, this includes storage devices. While capture and archival systems all work in digital format, it is easily overlooked that video is stored in an entirely different digital format than those the broadcast video industry has preferred for transport. (Indeed, viewed in this light, an expensive DDR capture or playback system with HD-SDI inputs and outputs is just a high-priced adapter between consumer storage technology and traditional video cable connectors). 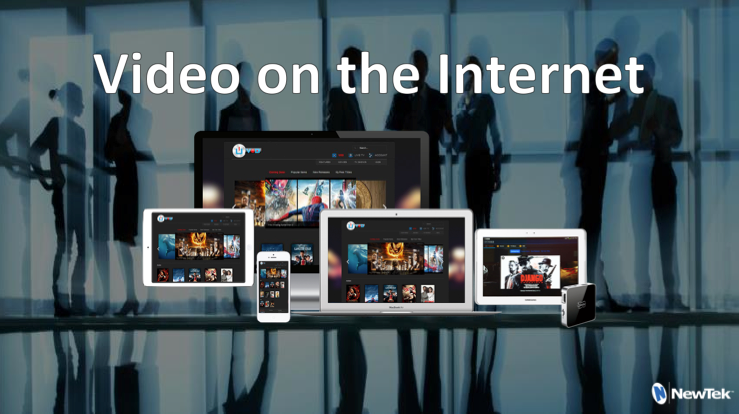 With that in mind, we can conclude that, in our digital pipelines, the process of bringing a video signal into IP space is identical to the process of rendering it for storage on economical mass-market storage devices. Since, as we’ve learned, a signal transmitted over IP is effectively indifferent to the number of destinations it reaches, it follows that recording streams of video is essentially free in this domain. In the same way, then, that geographic scalability is inherent to IP infrastructure, so is temporal scalability. The ability to freely record, playback, or time-shift any signal, anywhere, is intrinsic to a well-designed, network-based video standard. When you walk into a live production studio today, you will see many cameras, cables and lights. You will probably also see decks, graphics systems, routers, a production switcher and the operators of these devices. Almost without exception, the physical components of video production are in close proximity to one another. At best, the different workspaces associated with a performance and its production are separated by a pane of glass. Rather than offering any workflow advantage, this overlapping of operations is forced upon us by the physical constraints of the necessary cabling. However, once IP is involved, production devices can freely interoperate with one another over the local Ethernet, and those physical restrictions are gone. The set need no longer also be home to the video mixer, graphics and media playback systems, recorders, etc. Likewise, routing video for monitoring outside the studio is much easier. If someone at the other end of the building wants to view something, they can do so easily using existing Ethernet infrastructure. This, then, finally offers liberation from a 1960’s era studio production model, even allowing the whole process to be handled on location with far more ease than we have been accustomed to. Most of the component devices in any a modern production facility are described––and limited––by the number of physical connections they provide. 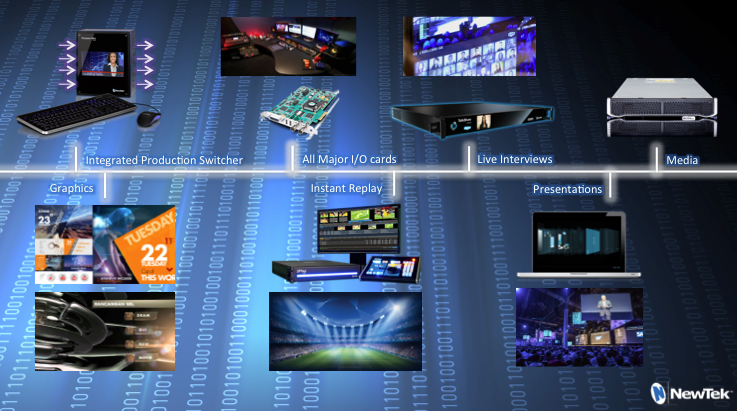 For example, graphics systems are typically designed and marketed in terms of how many simultaneous channels of output they can produce, and it is similar with production video switchers. When each output required discrete physical hardware, this was an unavoidable requirement of system design and manufacture. For IP-connected devices, however, the number of channels a system handles is freed from such physical constraints. Consider a typical CG system with 100 pages of prepared graphics ready to display. Why constrain yourself to inserting them into your program serially, one by one, over one or two discrete output channels? Instead, you can present all 100 CG pages in parallel over IP, allowing anyone who wishes to freely display any one or more of them at any time. Critics may point out that the preceding example ignores a key fact, in that even the most powerful current graphics systems are unlikely to be able to render 100 simultaneous channels of output at one time. As we highlighted above, however, an IP connection is two-way. Thus, our CG video source can be alerted, effectively instantly, that someone specifically wants to connect to one of the 100 channels. Random access of this sort is entirely unimaginable with the ‘push downstream’ model of traditional broadcast. In an IP world, though, ensuring that resources are allocated to render the channels that are actually useful at a given moment, or at greater or lower fidelity as required, is a mere detail. Indeed scaling to more rendering systems that distribute work in realtime based on actual utilization is entirely possible. This all advocates powerfully for a fundamental shift in the way devices are designed and used. Live production is a realtime art form, spontaneous by its very nature. The more sources available, the greater your creative options. 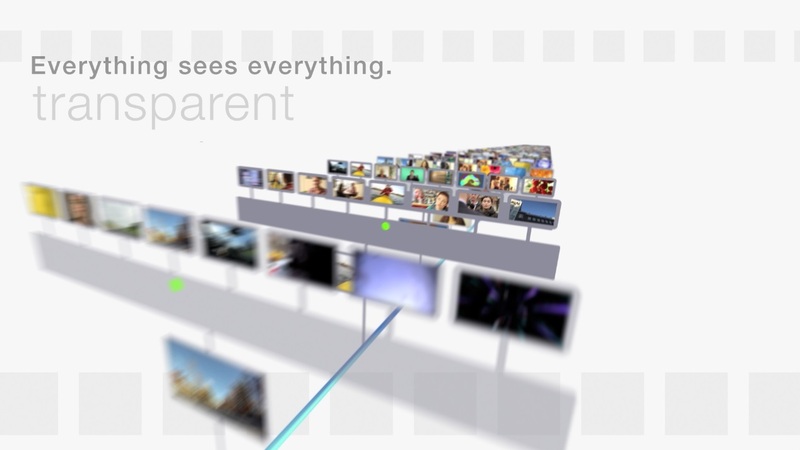 In IP-based production, the same ‘on demand’ benefits described above extend to all source types, whether live or rendered. Any and all sources can be instantly available anywhere in the pipeline. (You can start thinking about retiring those giant SDI matrix routing boards, or repurposing them as a pegboard on which to hang up your keys.) The media you introduce into your show can be selected, modified, and updated as late as at the point of its insertion. Obviously, the economy and elegance of expending resources only on what is actually needed for a production, while at the same time presenting everything, at once, anywhere you want (rather than being forced to think and work, abacus-like, in terms of discrete input and output counts) applies in equal measure to media playout, virtual sets and virtual set input channels, and indeed any area of graphics production that involves processing. If you’re not displaying one of your countless video inputs at this moment, why burn processing cycles to scale, chromakey or color balance it? Again, in an IP-based workflow, the number of connections between devices is no longer a physical nor a creative bottleneck. Readily available sources proliferate beyond imagining, permitting an elemental shift in way video devices and the things they do are defined, and what can be achieved as you combine them to produce a program. The difference this all makes can easily be likened to that feeling of liberation experienced when the late, unlamented, linear workflow of two decades ago was unceremoniously kicked to the curb by non-linear editing. The non-linear nature of IP-based video production will unleash your creativity and revolutionize your production workflows. The foregoing is just a representative sample, but should suffice to show that any concept of a future broadcast industry that does take into account the inevitable dominance of IP interconnections must be considered short-sighted. Unlike SDI and other video-specific cabling, what makes IP so different is that infrastructure already exists in almost every building in the world, fiber connects these all together and cable, radio, and satellite bring connectivity to even the most remote places on the planet. Recognizing the need to work within existing infrastructure and the fact that allowing people to innovate and enable software approaches to multi-stream live video over IP without license fees, NewTek launched its NDI initiative. 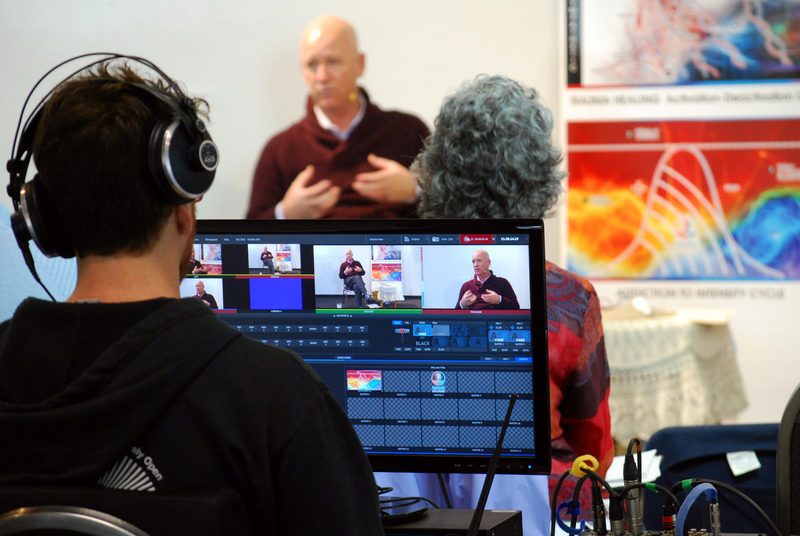 Approaches like ASPEN and SMPTE 2022 take a more traditional broadcast approach but probably require infrastructure upgrades. To an industry just catching its breath after the change to digital, and then to HD, this can all be just a little unnerving. That said, it is abundantly clear that IP will be the communication standard connecting any foreseeable future technologies - including broadcast video systems. Unlike any other method, this singular system can transfer diverse data payloads between countless varied devices simultaneously, using a connector they are certain to have in any case. Robust, affordable, omnipresent IP infrastructure and support systems actually make it easier both to adopt and adapt to the very best emerging technologies suited to domain-specific needs. IP’s bi-directional nature elevates it over traditional video communications systems in other ways, too. By eliminating constraints on device input and output counts, it enables intelligent resource usage, and multiplies available content and sources exponentially. IP offers spatial and temporal scaling far beyond any other current technology. We also considered the inevitability of the shift from specialized solutions to general purpose infrastructures. For all these reasons and more, we should vigorously resist attempts to coerce adoption of any video connection scheme requiring new, domain-specific infrastructure to achieve something IP already does. We must appreciate that IP’s adoption is driven by the unstoppable momentum of consumer economics. Doing so, in turn, positions us take full advantage of the amazing tools that consumer markets have built (and will yet build) for our own ends.